Professor of Computer Systems, Director of the Laboratory of Digital Systems, in the Dept. of Electrical and Computer Engineering, School of Engineering, Democritus University of Thrace. Also, Professor [up to 2000] of Computer Architecture and Parallel Processing, in the Department of Informatics, at the Athens University of Economics. Obtained his B.Sc.(Hons.) in Mathematics from the National and Kapodistrian University of Athens and his M.Sc. and Ph.D. in Computer Science from Loughborough University of Technology, England. Research fellow under scholarship contract from NATO and the Greek Ministry of National Economy (1982-85). He has published a considerable number of research articles (>160) in international journals and refereed conference proceedings. 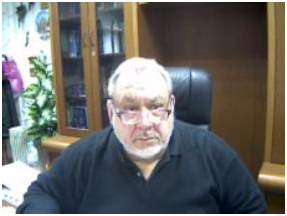 He has written a number (>80) of monographs, chapters in internationally published books, educational books and technical reports. He is the editor of several internationally published books with research articles/monographs. His research interests include parallel, distributed and grid processing techniques, performance evaluation and prediction of shared/distributed memory computer architectures, parallel, systolic and wavefront algorithms, hardware mapping of systolic IPSP matrices on FPGAs/PLDs, computational complexity analysis of algorithms, performance scalability and energy consumption on many-core platforms. He is/has been referee for international journals/conferences, organizer of sessions/mini-symposia, and member of organizing and scientific committees of international conferences. Editor-in-Chief of the international journal NPSC, Atlanta, USA and Editorial Board member of several international Journals. He is/has been partner/scientific coordinator/referee in european/national programmes. Nominated (2004-2006) Altern. National Delegate in ΕU, in the Programme Committee of the 6th FP, with thematic priority: Research and Innovation. He has served as a Member of the Experts Committee for the Development Law, in GSRT/ Directorate for Technological Development. He has served as a full Member of the Committee for the Education Operational Programme Development, Ministry of National Education and Religious Affairs. He has served as a Member of the Steering Council of the Research and Academic Institute of Computer Technology, University of Patras. He has served as a full Member of the Steering Committee of the University of Central Greece and a full Member of the Temporary General Assembly of the Dept. of Informatics with Applications to Biomedicine. He has served as a Member of the National Council for Electronic Commerce, a counseling body to the Minister of the Ministry of Development. Head of the Parallel Algorithms and architectures Research Group (PAaRG). © ELK-APJ 2016. All Right Reserved 2016.